As a busy mum of 4 always on the rush to schools/running or to the gym. Belvita asked me if we would like to try some of their “delicious new breakfast biscuits” . The Belvita biscuits are designed for breakfast and are great for people who lead busy lifestyles and are rushed in the mornings. The crunchy biscuits slowly release carbohydrates over 4 hours to help you keep going all morning . Belvita have just added three more new flavours to their range-Muesli,Forest Fruits and Honey & Live yogurt Crunch.The Belvita biscuits are specially designed for breakfast. It is recommend that they are to be enjoyed with a piece of fruit,a serving of dairy like a plain yogurt and something to drink such as a cup of tea for hydration. The rest of the Belvita breakfast range includes Milk And Cereals,Fruit And Fibre,Honey and Nuts,Crunchy Oats and Yogurt Crunch variants. 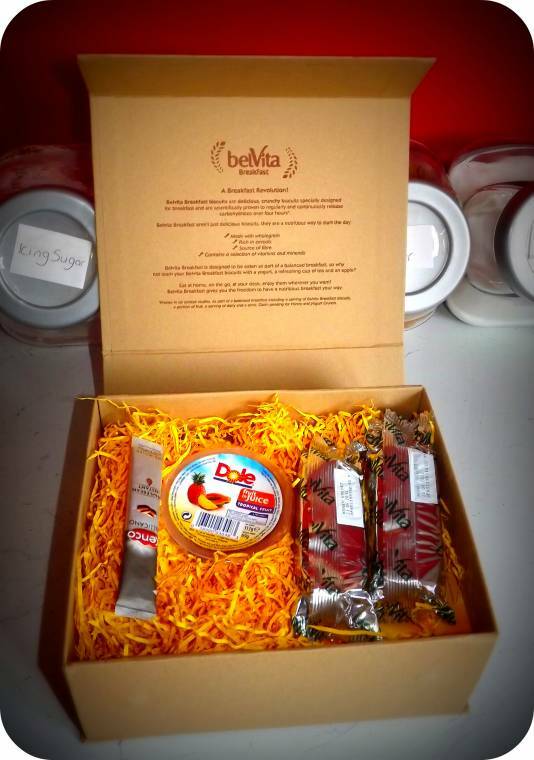 We got sent a breakfast pack to try which contained 4 Belvita Honey and Live Yogurt a fruit pot and a coffee to see what we thought of them. I was the first to try some (no surprise here …as I love my biscuits) and thought they tasted nice and sweet you can really taste the yogurt filling as the flavour really stands out. They are the sort of biscuit I would really go for .Next up was my to older sons they both really like the taste of them. I love the taste of the Honey And live Yogurt and will be on the look out for them when I go shopping. I think one or two of these before a morning run would be great. The pictured above breakfast pack was sent to me to try from the PR. I was not paid for this post and all thoughts on this product are my own honest opinions. "Strawberry and Irish cream liqueur fool…"
We do have them in the US! I have been seeing a lot of commercials about them lately, even the Jersey Shore crew were in a commercial!